Hip-hop biographies are all the rage these days. Earlier this fall, Jay-Z released his tome Decoded, while last month we reported that Common was prepping a page turner of his own. If you were hoping for another book about the rap game, news that Mobb Deep rhymer Prodigy has written an autobiography covering all facets of his infamous career will surely stoke you. 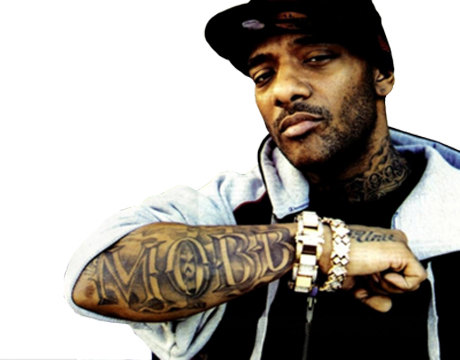 All Hip Hop reports that the New York rapper, who is currently wrapping up a three-year prison sentence for gun possession, will release My Infamous Life: The Autobiography of Mobb Deep's Prodigy in the spring. The book will cover the wordsmith's early years, his celebrated run with the critically acclaimed outfit Mobb Deep and, of course, that weapons charge that landed him in jail. The rapper was arrested in October of 2006 after being caught with a loaded handgun in a bulletproof SUV. Sources told All Hip Hop that Prodigy is to be released from prison in February. My Infamous Life: The Autobiography of Mobb Deep's Prodigy, which was written by Prodigy along with Laura Checkoway, is set to hit stores April 19. The book will be distributed by Simon and Schuster. As of yet, there is no word on when Prodigy will team up with his Mobb Deep partner Havoc for what will surely be another, um, infamous record.